TP Harriet's Dream of Legend, show winner. Irene is a lovely FULL ACCOYO light fawn female. She has solid conformation with excellent substance of bone. She is very stylish and typey. 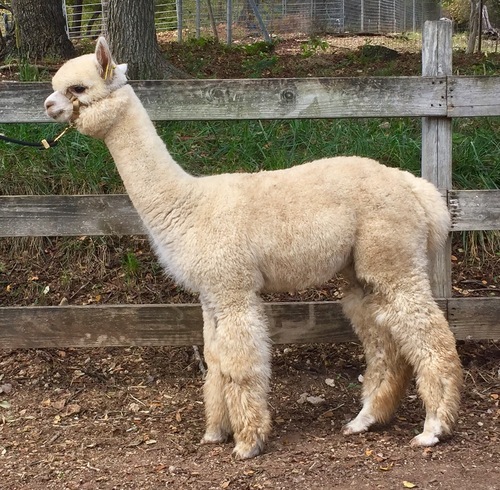 Her fleece is a beautiful, dense fleece with excellent character and shine. 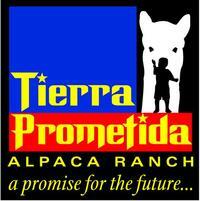 Her first cria was out of TP Poseidon's Motivator: TP Poseidon's Motivator's Flirtation. She is typey with a remarkable fleece. 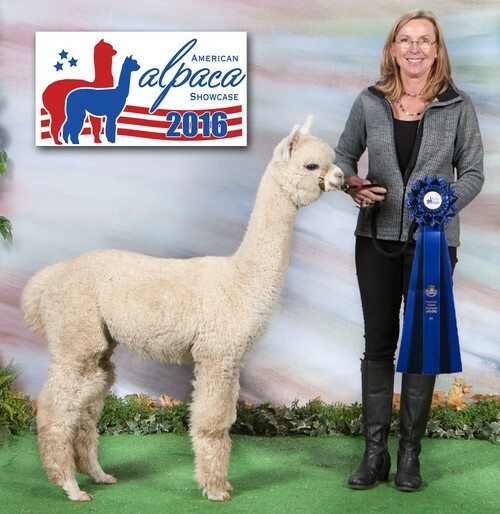 In fact, she just won a blue ribbon at the 2015 TXOLAN Alpaca Spectacular. TP Harriet's Dream of Legend is a dream. Her pedigree is rock solid. 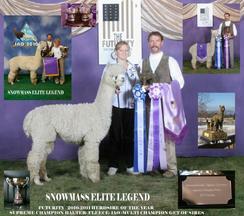 She is a daughter of the unequaled Snowmass Elite Legend--the 5 time All American Alpaca Futurity Herdsire of the year. He has produced numerous stud quality males and females. On her dam's side is a solid string of proven performance: including Accoyo Endurance and El Niño. 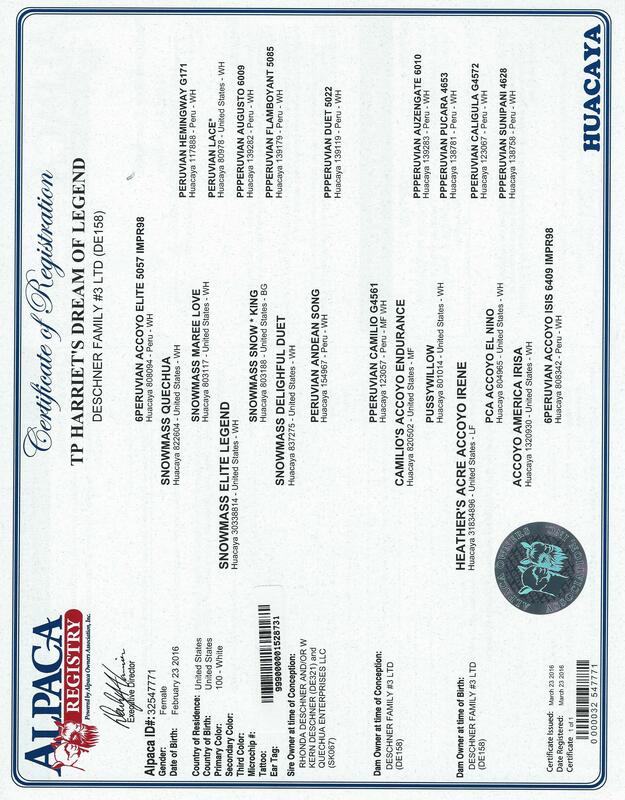 Based on this pedigree and knowing what these genetics are capable of producing, I had high expectations for this breeding. I was not disappointed! Consistency, density, fineness, and brightness. Our little Dream of Legend has excellent conformation. She is typey with a beautiful head and a lot of stylish appeal. Her bite is correct and her substance of bone is exceptional. She excels most notably and most importantly with her fleece. 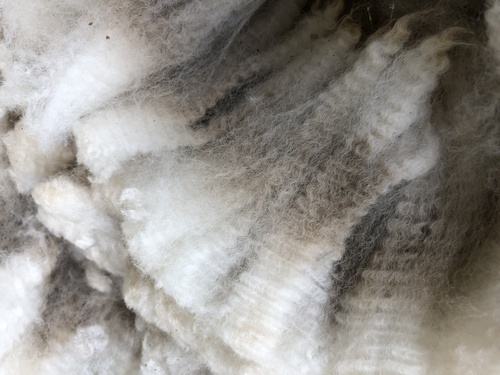 She is producing volumes of dense fleece with consistent extreme fineness and character. She has a wonderful silky smooth handle as well as lovely brightness. She has only been able to participate in 2 shows so far and has done very well in her Juvenile classes this fall. 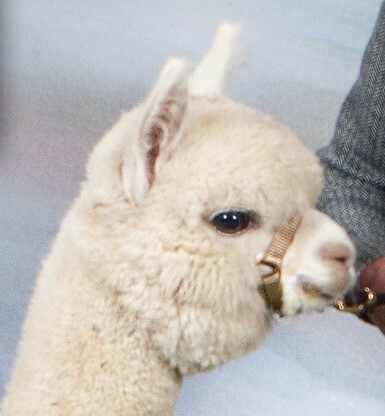 I expect that she will continue to do well in the show ring and in any breeding program she enters. 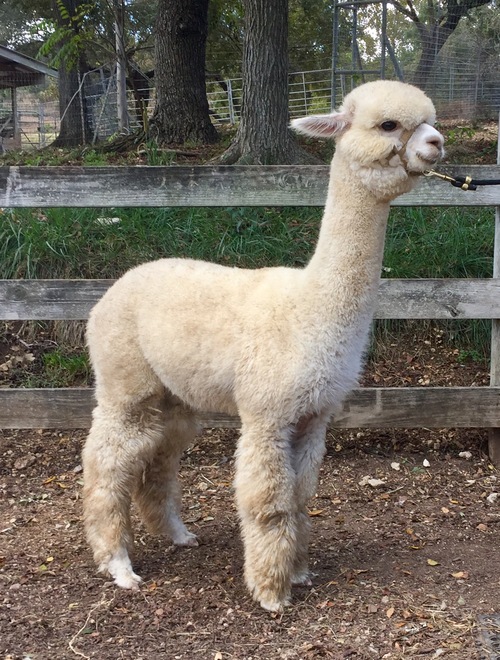 Her genetics boast the ability to produce improved consistency and sustained fineness--I fully expect her to do the same "TP Harriet's Dream of Legend" was biopsied as a 27 month old white huacaya female with ARl#32547771. Her skin thickness calibrated 3.87 mm. Her 15x scan shows fiber clusters that are very uniform in size, shape and placement within her connective tissue. Her density measures 69 follicles SQ MM of skin and her SIP ratio .based on 25 typical fiber clusters is 9.8 to 1. She shows lev.elA of 4 gland presence and 30%, of her secondary fibers show a degree of medullation. 100 secondary fibers average 19.9 microns while 50 primary fibers average 24.3 microns for a variation of only 4.4 microns. The above stats figure an AFD of 20.34 microns. 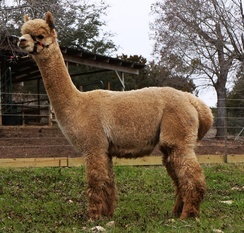 She currently has a lovely TP Matrix Jubilee cria at her side. 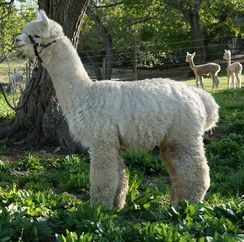 She is compact and typey with a spectacularly dense, bright fleece. Her name is TP Jubilee's Reverie.